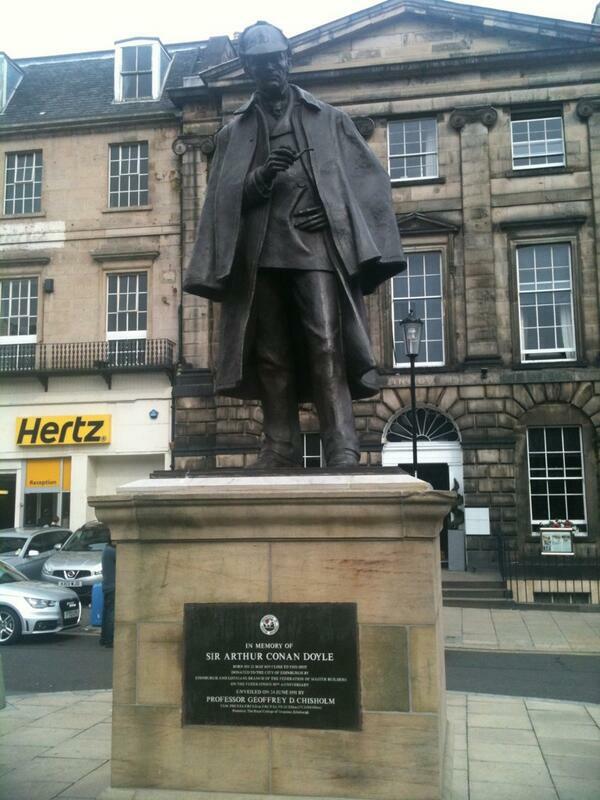 EDINBURGH HAVE OUR STATUE OF CONAN DOYLE – WE NEED TO GET IT BACK. All roads lead back to South Norwood: Thanks to Tomeen Murphy for sending us this picture. Isn’t that Sherlock Holmes rather than Conan Doyle? Anyway, as Doyle was born in Edinburgh, I guess they have a claim too. Apparently the spiritualists have erected a magnificent Conan Doyle Centre there, something which I would have liked to have seen in 12 Tennison Road.